When I was asked what I could cook to feed the community and artist Isaiah Zagar’s during Found Art Mosaic Mural workshop at Freedom Square this past weekend, most people around me knew I would say beans. I decided on Feijoada, the national dish of my native Brazil because of all the stories and love that comes to my mind. 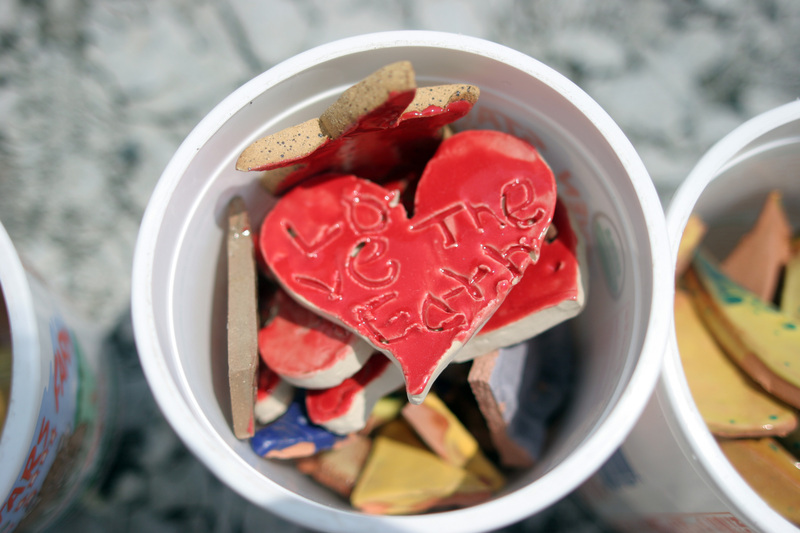 I started taking photos over the weekend, but still I am not able to capture all the details, the tiles made by children’s hands, pieces of broken plates and mirrors, the messages that will make you smile and others that will make you pause and reflect. 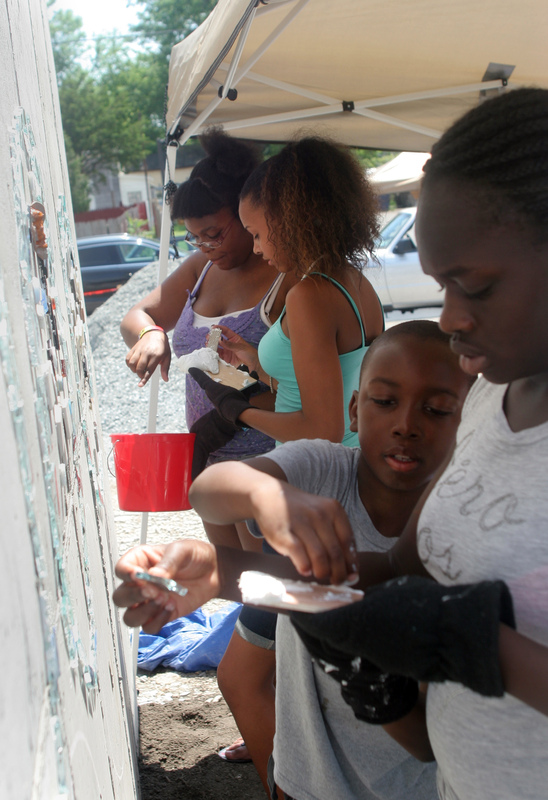 The Mural carries a sense of community. 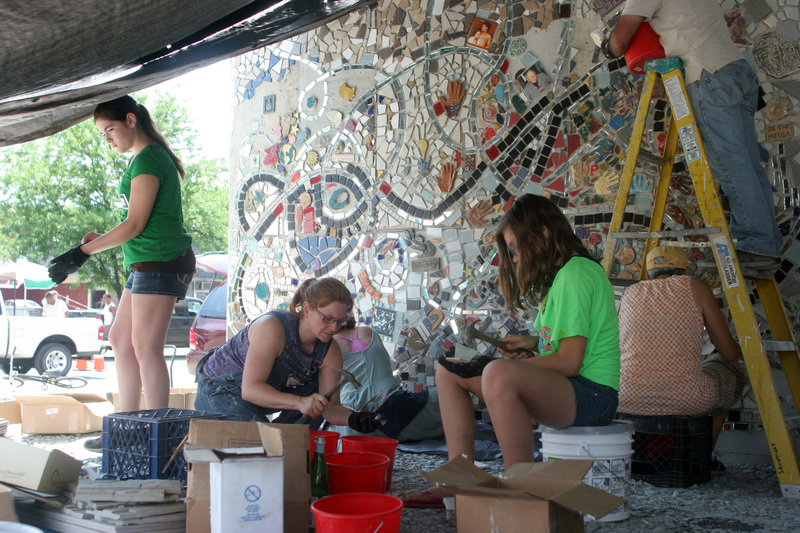 Each tile tells a story, each one, touched by a person who gave part of them, their creativity, energy, art, and love. and many others who joined me Saturday morning for a Bean workshop in the Kitchen Sanctuary at the Sanctuary for Independent Media. Thank you everyone who came, cooked, and helped with many tasks of the day. The night before, soak the beans in a large bowl with water to cover at least 3-4 inches. The next morning, drain the beans and place in a large pot with bay leaves and with water to cover by at least 3 inches. Bring the beans to a boil in medium heat. Cook until soft. Meanwhile, cut all the vegetables about 1-inch to 2 inch pieces. Sauté in oil until brown on all sides. Add the vegetables, and onions to almost cooked beans to simmer, stirring from time to time, adding water as necessary to keep beans covered. Add garlic and half of the cheiro verde, simmer for a couple minutes. Decant a few ladlefuls of the sauce into a separate saucepan and add the Malagueta pepper, garlic, cheiro verde (parsley, green onions and cilantro). Heat through and sever separately. 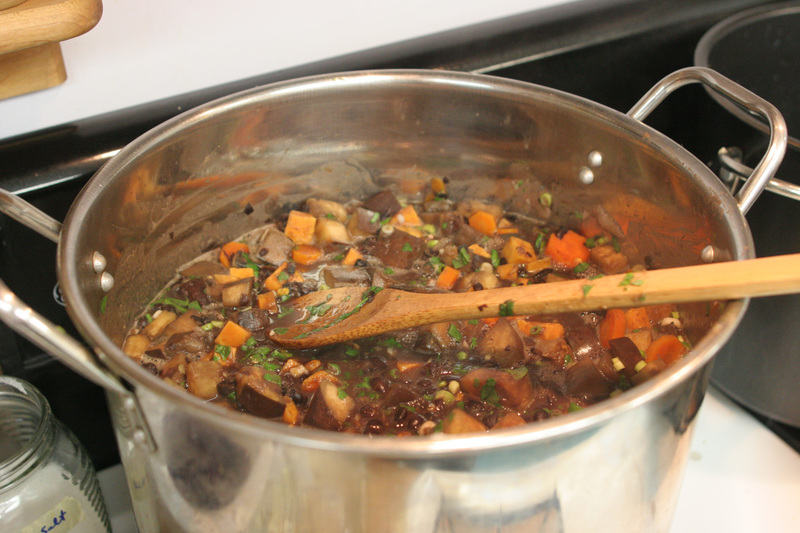 Continue to simmer gently for at least another hour, adding water as necessary. Remove the bay leaves. 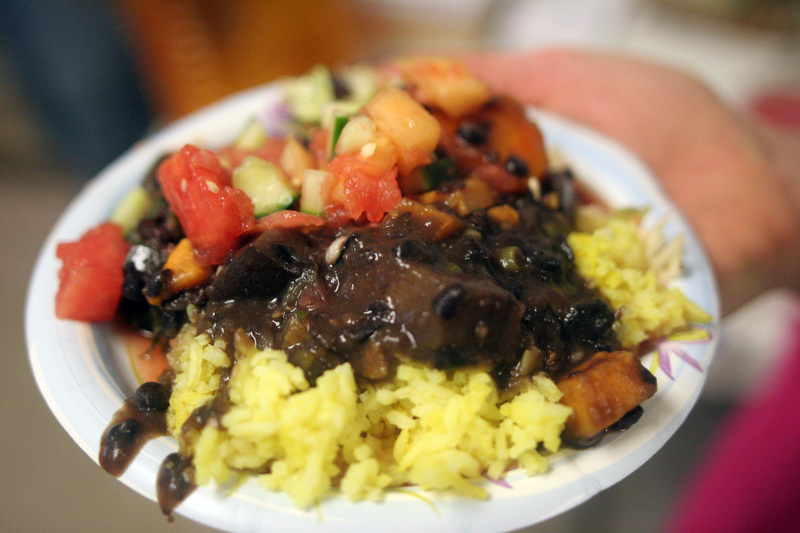 To serve feijoada, put a mound or rice on your plate and place a ladleful or two of feijoada on top or on the side. Arrange oranges and collard greens around the sides.